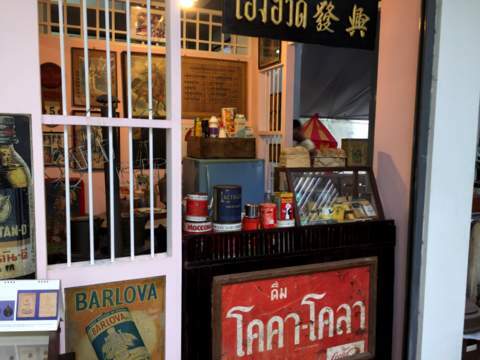 The House of Museums in Thawi Watthana district, Bangkok, the brainchild of Anake Nawigamune, exhibits replicas of old shops in neighbourhood markets from the earlier half of the 20th C onwards. 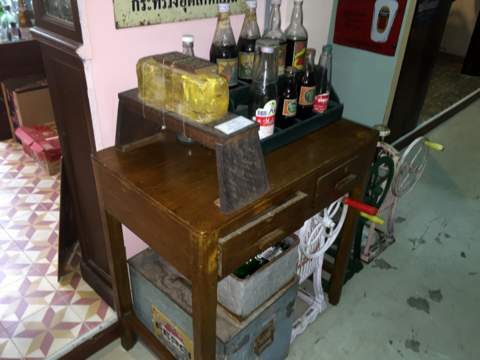 This quaint museum is located in the north-west of Bangkok right on the outskirts of the city and preserves the livelihoods of the small traders and shopkeepers in the old days. 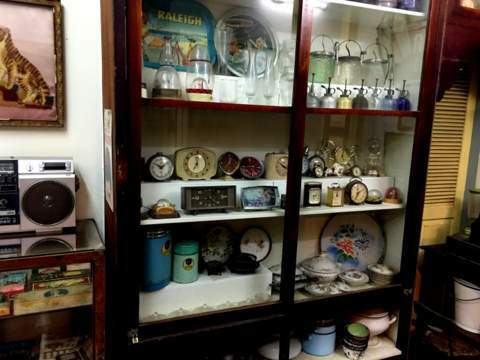 Each little shop is a museum by itself and all these little museums are housed under one roof. 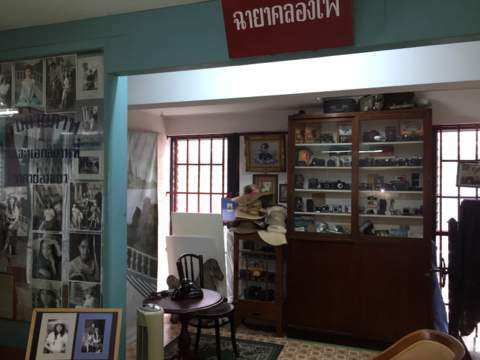 It’s a private museum managed by volunteers from the Cultural Affairs Association. 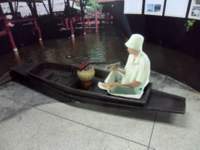 The museum was first opened on 14 July 2001 but during the disastrous floods at the end of 2011, it was badly damaged. 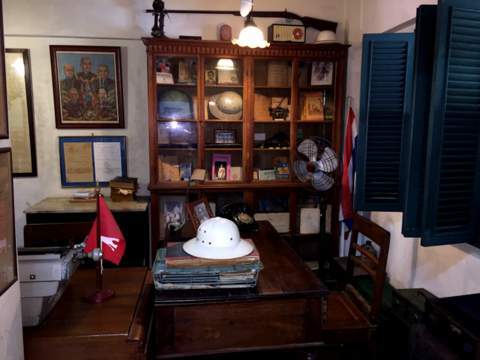 Volunteers worked hard at repairs and the museum was reopened on 14 July 2012. A signboard at the entrance shows the highest level of the flood waters in 2011, 160 cm or 5 feet 3 inches! Lots of thought and effort have gone into the making of this museum. 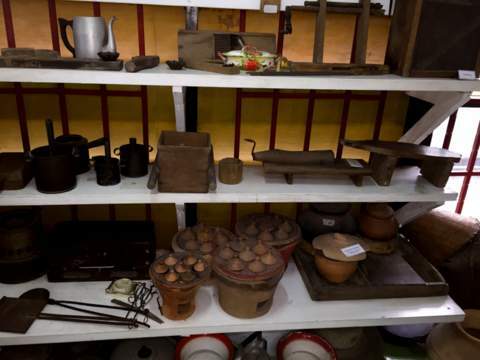 Imagine the intense research in determining the details of these shops, their stocks and equipment. Someone donated the land; an architect contributed his services to design the buildings for the museum. A graduate student specialising in displays and exhibits from the Faculty of Decorative Arts, Silapkorn University of Fine Arts designed the layout of the displays and exhibits. 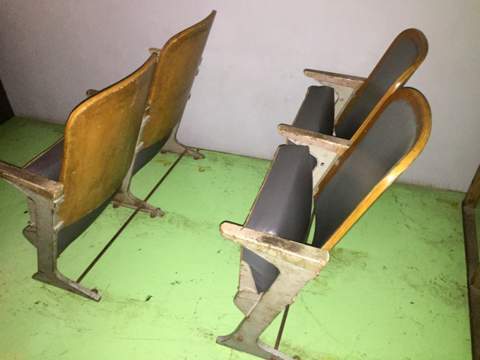 Members of the public donated old items, apparently useless in this modern age, but still of great historical and sentimental value. 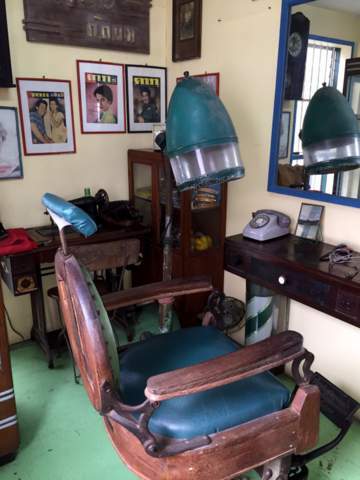 The old shops were authentically constructed, meticulously furnished and stocked to appear like the real shops of old. The museum is staffed by volunteers who sacrifice their weekends to welcome visitors who wish to take a walk through the corridors of history. Before we join them, let’s find out more about the man responsible for this making this museum a reality. Anake Nawigamune was born on 14 March 1953 in Songkla, a province in Southern Thailand. 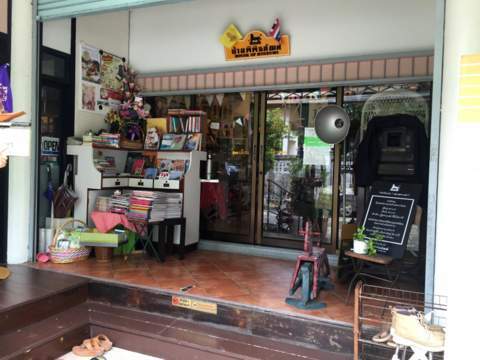 He was the youngest of seven children and his parents ran a small book store in his hometown in Ranot, a coastal town located on a narrow strip of land between the Gulf of Thailand and the lakes. Brought up in a book store surrounded by books by parents who dealt with books, Anake developed a love for reading and writing from an early age. His father’s book shop probably had an influence on the theme for his museum project in future. When Anake completed his high school, he studied Political Science at Chulalongkorn University in Bangkok. Upon graduation he became a journalist with the now defunct newspaper Chao Phraya. He also contributed to various magazines and periodicals on economics and politics. 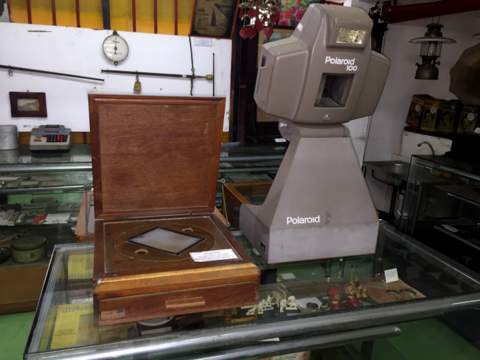 As a boy, Anake enjoyed collecting old items, visiting, writing and photographing places. 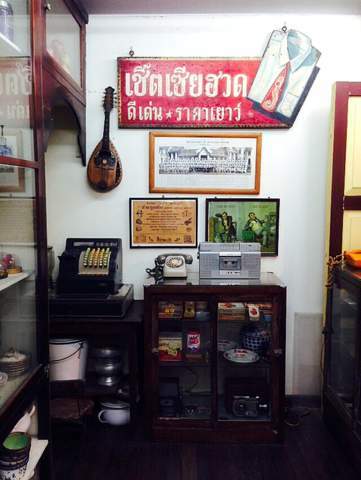 His inquiring mind was always seeking new information on Thai culture and history among other subjects. With a strong interest in history he wanted to preserve the past as a source of knowledge for the people. "Museums are the jewels of the nation, depositories of the national heritage and dignity." He later became a freelance writer and proved to be a prolific one. 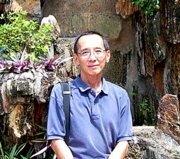 To date, he’s responsible for a long list of publications; 172 feature articles and 148 pocket books on Thai culture, history and travel. Writers are dreamers; it’s during these dreams that new ideas are born. During the many evenings when he was relaxing by the rice fields, the dream of a museum kept reoccurring along with reminiscence of his childhood. Later he received a scholarship to study in Germany and took the opportunity to go on a study tour of museums in France. On his return he started the Cultural Affairs Association with a group of like-minded friends. "Preserve today, tomorrow it’ll be history"
The crowning glory in Anake Nawigamune’s career arrived in July 2015 when he won the Chukiat Utakapan Award* in recognition of his literary works and cultural contributions to society through the House of Museums. 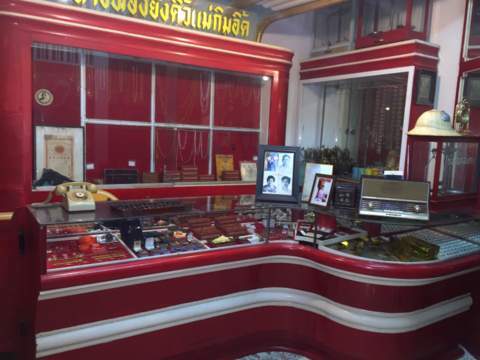 Chukiat Utakapan (1942 – 2002) founded the Amarin Printing and Publishing Public Company with business in magazine and book publishing and printing. Recently they have also developed an entertainment TV channel, Amarin TV. The Chukiat Utakapan Award founded in 2004 in honour of Chukiat Utakapan is awarded to writers, publishers and other agencies responsible for high quality publications and creative literary works. · Cultural development that improve quality of life for individuals and society in general. The museum is housed in two adjoining buildings. 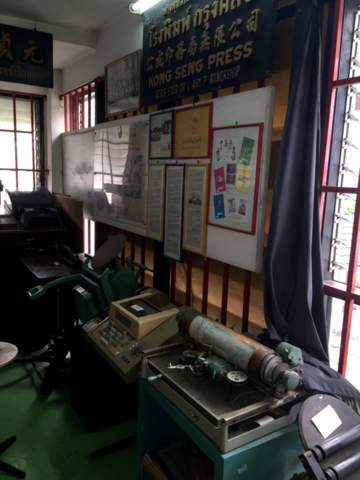 In the first building which is the main building, the museum displays occupy three floors. In the second building, the displays are only on the ground floor. There’s a coffee house located between the two buildings, Weekend Café, for visitors to relax and have refreshments after the visit. Let’s take a walk through the House of Museums. 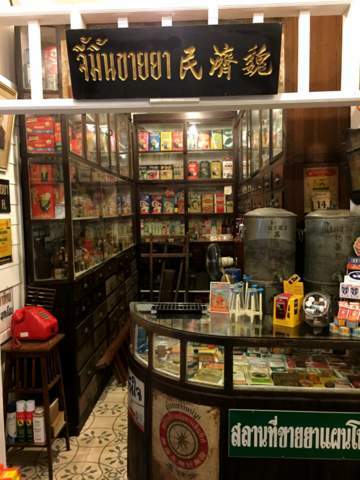 A sundry goods shop, the signboard for this shop, "Bunsong Trading", is taken from Anake’s father’s bookshop in Ranot. To my regret I only found out about this after the visit and didn’t get a photo of this shop! The shop just to the right front door doubles up as an entrance fee collection counter as well. Some of the items like sweets are on sale to the delight of the children who were visiting the museum. 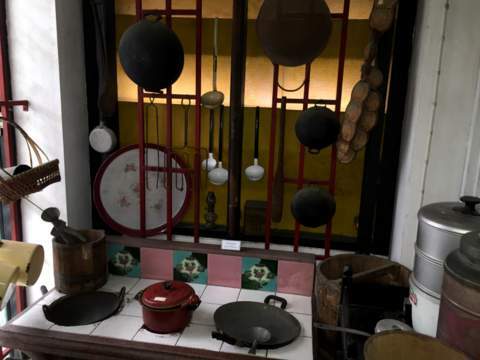 Once inside this House of Museum, you immediately get the feeling you are in another world. Let’s go upstairs to the second floor. 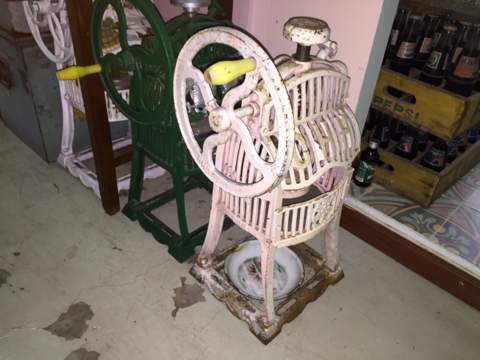 There are some vintage items on the landing as well. 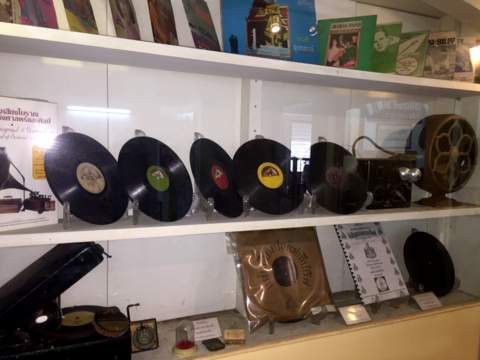 Displays on landing to the second floor – recognise them? 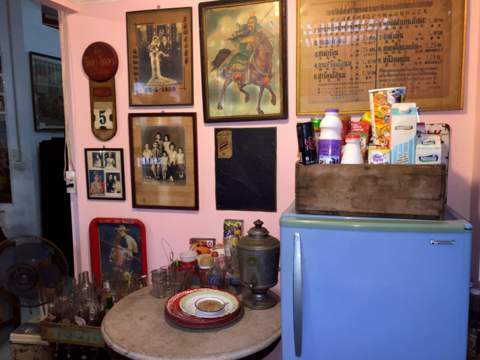 Some rocking horses and a table football set, things which we don’t get to see anymore. 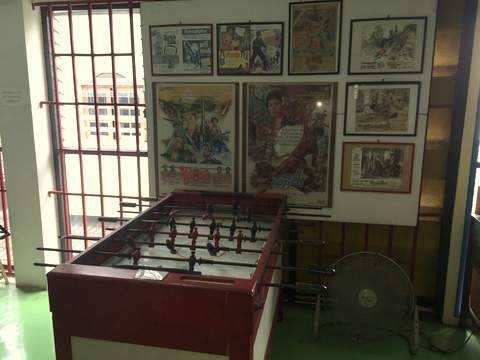 Table football – as they didn’t have computer games then this was a very popular game. The third floor was opened a year after the main museum. 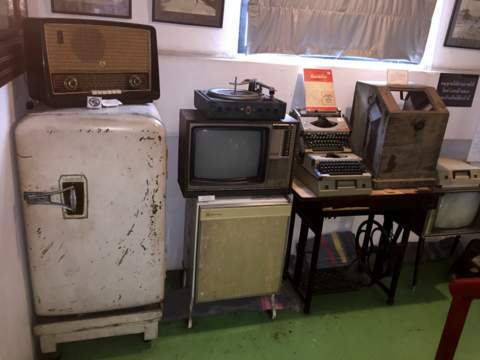 It was originally used as a store room until there were enough items to create a new display area. 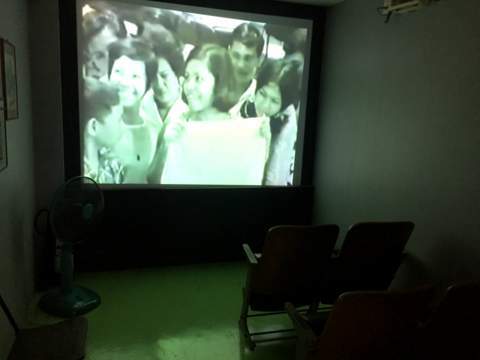 The design and renovations were provided by supporters of the museum. 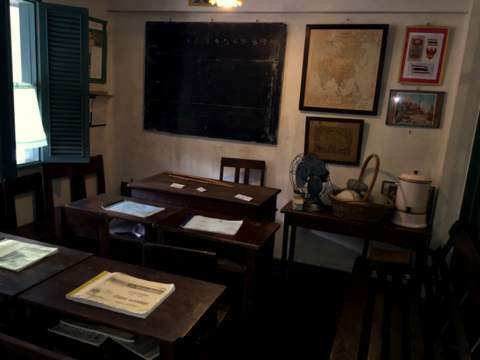 An old classroom, note the canes on the teacher’s table, they didn’t spare the rod in those days. 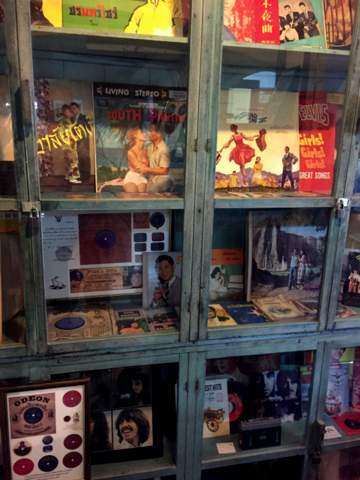 Do you remember the Rodgers and Hammerstein musical "South Pacific" and later Julie Andrews in the "Sound of Music"? This mock-up of an old coffee shop is my favourite, complete down to the last detail including the coffee brewing apparatus and the spittoons on the floor, a bad habit of the past that’s thankfully eradicated today. The wooden platform with a sharp blade inserted from below was how they crushed ice more 50 years ago by moving the block of ice up and down across the blade to make ice balls and other sweet deserts. That brings us to the end of our tour of the House of Museums. Do drop in at the Weekend Café for a hot brew and some snacks. When I first entered the café, I thought it was still part of the museum displays. It’s a comfortable and cozy little place to relax after that walk past such pleasant memories. Plans have been made for the second location for the House of Museums. The new project called "Talad Lek" or the Little Market will be located on 2.5 rai (0.4 hectare or 0.98 acre) of land in Tambon Ngiu Rai, Amphur Nakhon Chaisi, Nakhon Pathom. 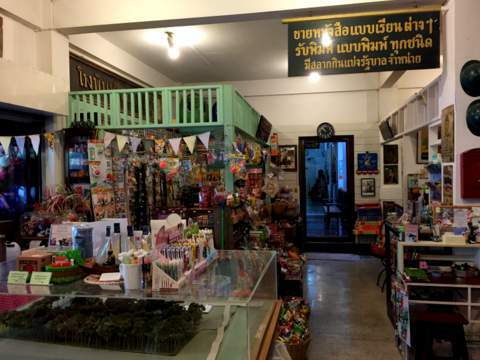 The Cultural Affairs Association bought the land in 2008 and designs for the Little Market completed in 2010 provide for rows of little shops by the Tha Chin River. This complex will also have a warehouse to store donated items not placed on display yet. 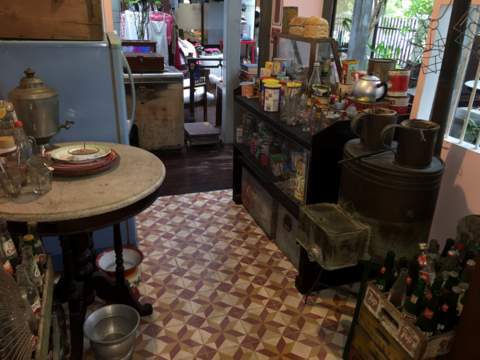 The project is estimated to cost 15 m baht and donations in cash and old shop and household items are welcome. Our thanks to the volunteers in the House of Museums for their services; it’s gratifying to see the spirit of volunteerism in providing a cultural service to the people. We are grateful for the booklet on Anake Nawigamune and the museum from which was found a wealth of information for this article. All photographs are with the courtesy of the House of Museums. Today, large corporations, mega-stores, supermarket chains, franchised convenience stores are dominating almost every aspect of consumers’ lives. 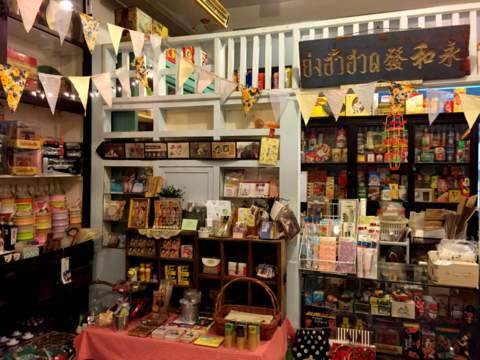 The old pop and mom stores in the neighbourhood may soon be a thing of the past. Gone will be the days when the person behind counter knew you and your family personally. 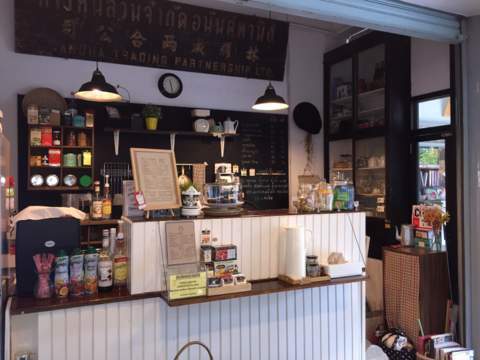 Cross over to the west bank of the Chao Phraya River, you can either use Borommarachachonani Road via the Phra Pinklao Bridge to the north or Phetkasem Road to the south. Turn right to Phutthamonthon Sai 2, head due north till you reach Sal Thammasop Road. Turn left into Sala Thammasop Road and after about 250 m; turn left again into Sala Thammasop Soi 3. 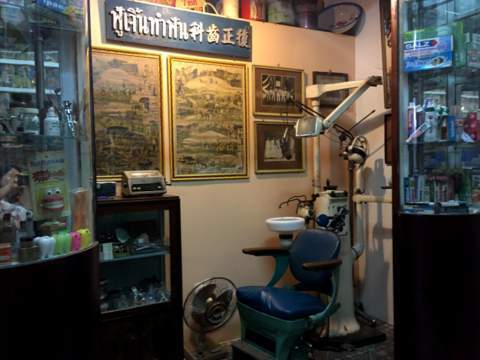 Follow the signboards in this narrow soi till you get to the museum. Air-conditioned bus service no. 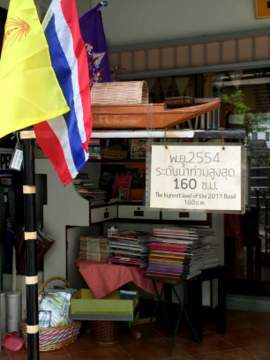 515 from the Victory Monument goes all the way to the Salaya Market. 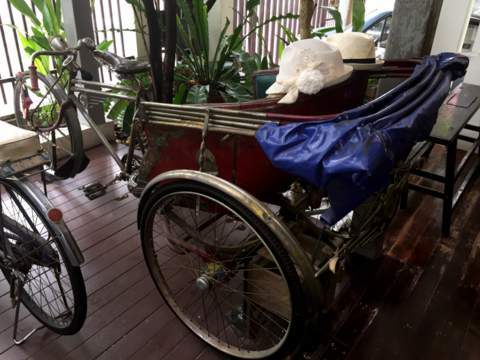 From there take a taxi or motor-cycle taxi to the museum in Sala Thamamsop Soi 3. The House of Museums is only open on Saturdays and Sundays from 1000 – 1700 hours. Please remove your footwear before going into the museum. Photographs are welcome, no camera stands or tripods please. Please don’t move or touch the exhibits or sit or stand on the chairs, cupboards and tables.